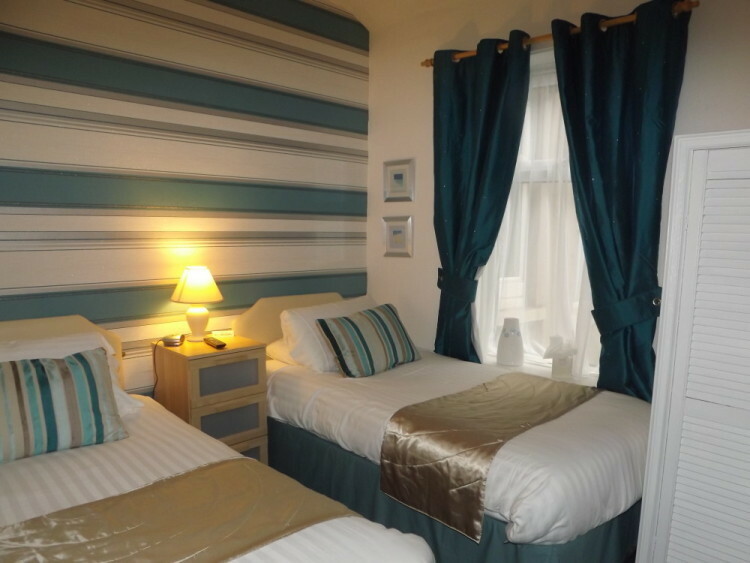 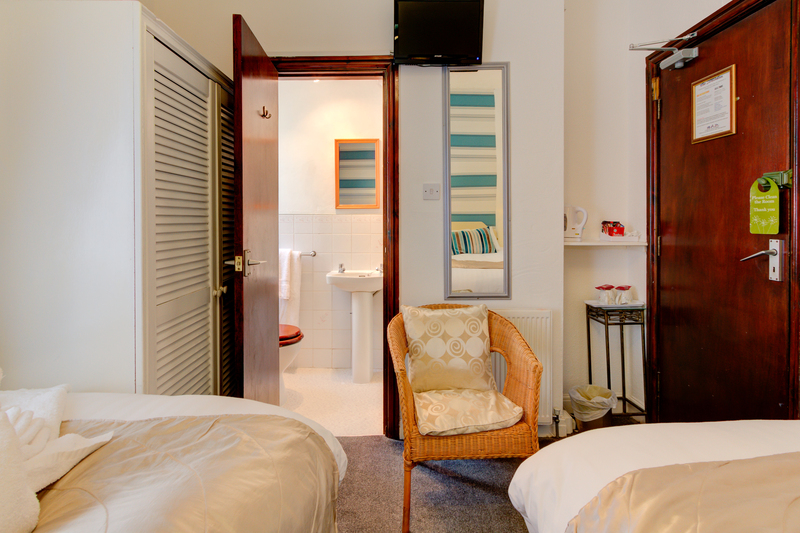 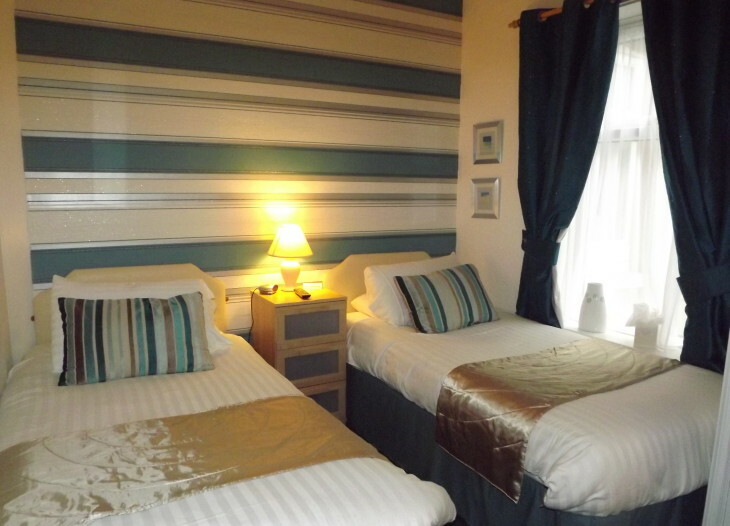 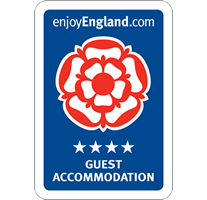 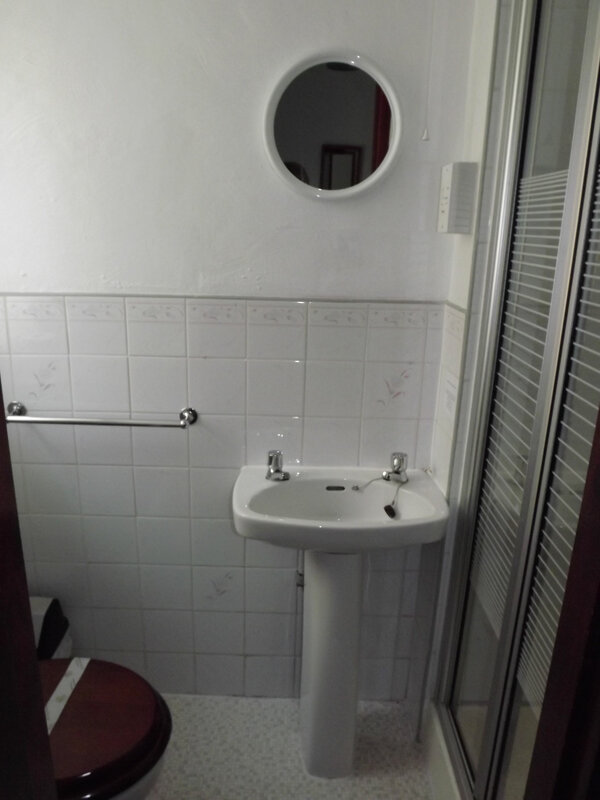 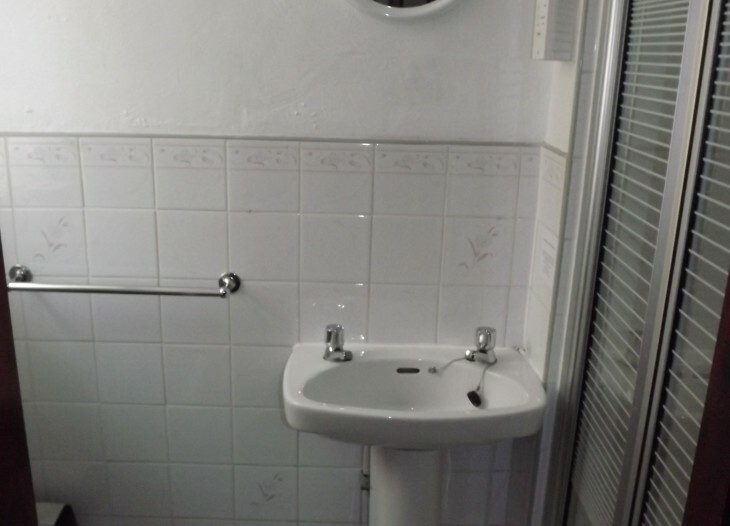 At the Strathdon guest house, Blackpool we pride ourselves on the cleanliness and comfort of our standard twin room. 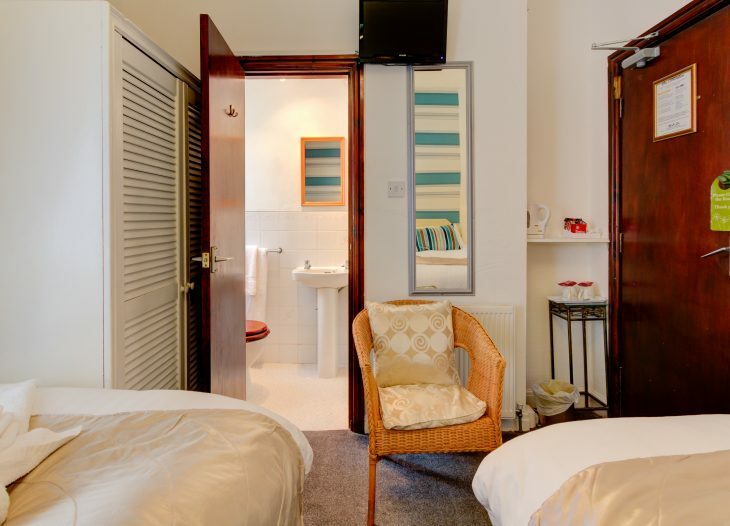 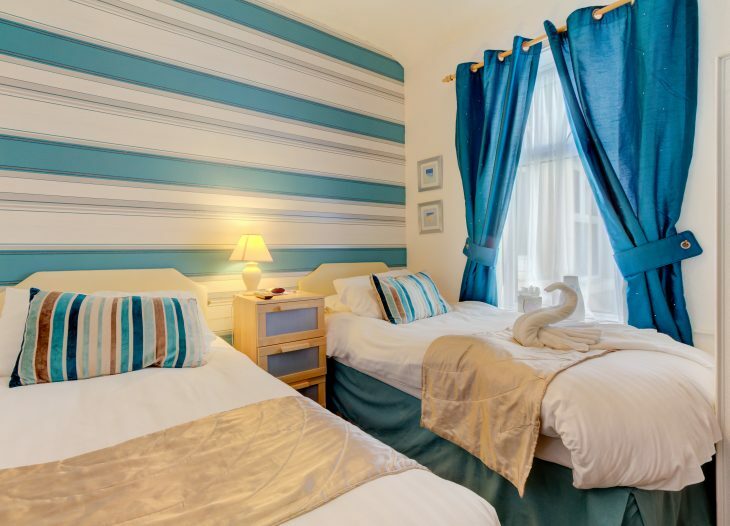 The standard twin room is a lovely, peaceful room situated near the rear of the guest house where you will have a very peaceful nights sleep and experience the natural character of this victorian built guest house. 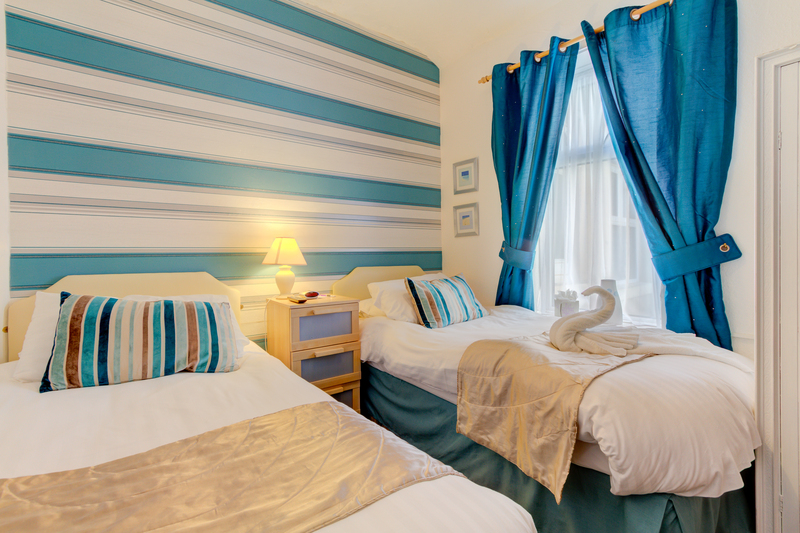 The standard twin room comes with two comfortable single beds, wardrobe and bedside units with draws, plus an en-suite shower room. This room is perfect for two friends sharing and young adult siblings when staying at the Strathdon, Blackpool as a family of 4. 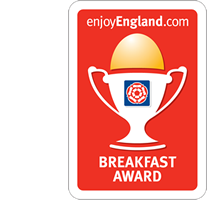 When booking the standard twin room online or over the phone, breakfast is including in the price; this entitles you to choose an option from the breakfast menu which will be available on your table when you come down for breakfast between 8.45am and 9:30am (unless stated otherwise).